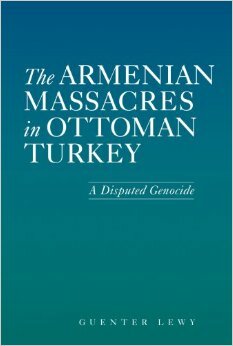 Does ArmenianGenocideDebate.com Deny or Promote the Armenian Genocide? No, ArmenianGenocideDebate.com does not take a position on the Armenian Genocide. It is a non-partisan independent organization of historians, researchers, and scholars who research the issue, report on the history, and explain events and peoples and persons involved in these events. Research continuously changes, and denying or promoting an Armenian Genocide is not the answer, because one day the scientific consensus may be to deny, the next day it may be to promote; therefore, a conclusion based on historians' consensus has not yet occurred and AGD does not take sides. We write analytical articles regarding the psychology of various sides and the history of the events. We analyze the people involved in each side. Some speculation is made at times, but supported by arguments or evidence. Individual writers in the site may take sides themselves, but AGD does not discriminate against writer's opinions.